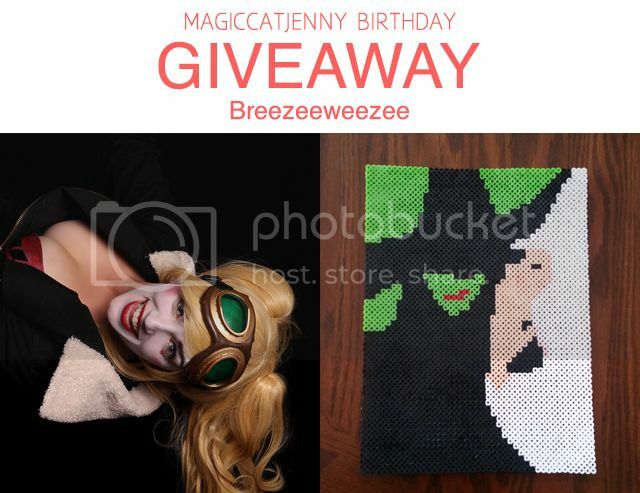 MagicCatJenny: Win a Perler Bead Wicked Poster! Win a Perler Bead Wicked Poster! This week's giveaway is for one perler bead Wicked poster made by Breezeeweezee. The peice is about 8" x 11" and the winner will get to chose if they want it mounted on a canvas or turned into a giant fridge magnet. 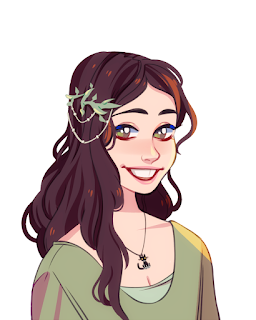 Bree is a lover of all things geeky and an avid cosplayer. She has turned her passion for cosplay and craft into a blog at http://breezeeweezee.weebly.com/ hoping to shed some light on the cosplay community, and help others on their cosplay journey. Bree also recently discovered her love for perler beads. The tiny little beads laid out one by one on a board to create magnificent little works of art that would stress any normal person out, is a relaxing hobby for Bree that has launched into an online business at https://www.etsy.com/shop/breezeeweezee. Have fun, and enjoy the giveaway!